Pretty much everyone still uses email these days. Sure, we might text more and use other modes of communication, but we still use email for work, communicating with family, organizing events, and increasingly, receiving advertisements and spam! Apparently, people using email for work are receiving upwards of 90 emails every day. Even if you’re not someone receiving this large quantity of email, it’s surely easy to understand why having your Mail app filter different types of emails from different people into organized inboxes. You may want to filter emails from friends and family into one mailboxes, put emails from clients into another mailbox, put all advertisements into another mailbox, and so on. Apple isn’t quite there yet. Their filter options are more limited, but still useful. Especially now that they’re available on iOS. Filters may not be entirely unfamiliar to you. If you used the Mac OSX Mail app, you already had a variety of filtering options available to you. However, up until recently, these options were painfully lacking from the iOS app. In the past, the native iOS mail app was a bit of a mess to look at – especially if you receive a lot of email. In iOS 10, Apple has given users the ability to filter their email with a number of different filters. 1. To start using filters, you need to open the Mail app, and enter any inbox. 2. Obviously, I need to check my email more. To enable filters, tap the new Filter button in the bottom left hand corner. 3. It should now read: Filtered by: Unread. This is the default filter. 4. To customize your filters, tap the section that says Filtered by: Unread. 5. Now, you’ll see all the different ways you can filter your email. To start filtering your mailbox, select one of these options. for this guide, we’ll filter in all of my Flagged emails, and not include Unread emails. 6. Here’s what that looks like. You can flag an email the you want to read later, and then access them by doing this. These are all my flagged emails. 7. When you want to go back to the regular mailbox, just tap the Filter button again. These are the basics of setting up filters in the updated app. If you arrive at a filter combination that you like, for example To: Me and Only Mail with Attachments, that filter will stay applied to that inbox until you take it off. If you have multiple inboxes for multiples inboxes, you can switch from one to the other and never have to reapply filters. To properly make use of the filters that Apple currently has available, you need to understand how to work each of the features that Mail has available to sort mail. 1. When you’re reading an email that you want to save for later, tap the Flag button in the bottom left hand corner of the email. 2. Then, tap Flag from the options that appear. 3. The email will now have an Orange dot beside it instead of the blue Unread dot. 4. To find the email again, tap the Filter button in the bottom left hand corner. 5. Tap the Filtered by: area to access Filters. 6. Tap on Flagged and make sure that it is the only option you’ve selected. Tap Done when you have selected Flagged. 7. You can now easily get back to the email you previously flagged. You have now successfully Flagged and filtered your email. Do you see how this could be a useful feature? 1. If you have never added anybody to your VIP list, you will need to add your first contact. Go to your Mailboxes view, and tap on VIP. 2. Then, you can add your first VIP contact. Tap ‘Add VIP’. 3. You can now choose the contact that you want to add to your VIP list. As soon as you tap their name, they are added to the VIP list. You can then add other VIPs from the same page. 4. Tap VIP Alerts to set up custom notification when VIPs email you. 5. Once you have added a VIP to your list, you can always go back and add more. Do this by viewing you Mailboxes view, and tapping the Info button beside VIP. 6. From there, you can add another VIP in the same way you added the first one. 7. When you go back to filters, you can turn on the Only from VIP setting. This will show you emails exclusively from VIPs. The To: Me filter is very useful, especially when you’re frequently involved in email threads. Email threads are often used at work, but they’re also sometimes used when you receive humorous forwards form friends and family. Obviously, email threads have their place, but generally, when an email is sent directly to you, it is more important. When you’re applying filters, select the To: Me option to only view emails sent directly to you. The CC: Me option is the same concept, except with the opposite practical use. This will allow you to view all conversations you’ve been CC’d on at a glance. This is also useful if you’re trying to keep up to date on what’s going on, but don’t have time to search through every email thread. This filter is fairly self-explanatory. When activated, you’ll only see mail with attachments. You’ll mostly use this if you’re trying to find a document someone sent you, or the funny cat video your mum sent you the other day. If you haven’t already figured this out, you can combine various filters to find things faster. This is where Mail gets much more efficient. If you have a bunch of emails to search through, and you need to prioritize what you’re reading, try combining the VIP filter with the To: Me filter, to read only emails from contacts you’ve dubbed important, that they have sent directly to you. A surefire way of reading what’s important first. Apple Mail filters still have a long way to go. 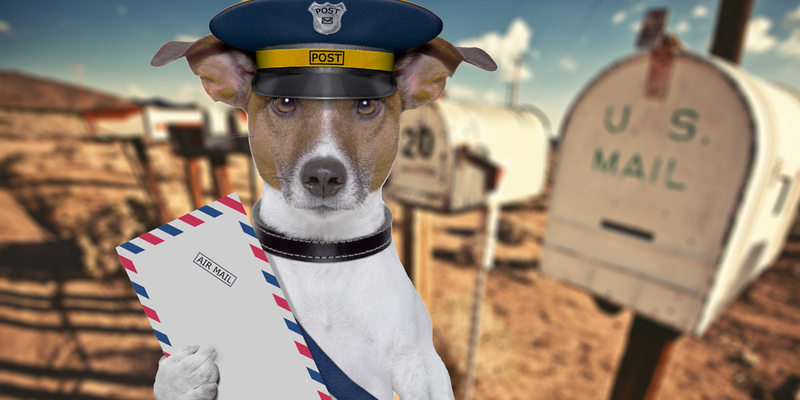 Other mail services allow you to create custom categories, and completely customize the way your mailbox is organized. Hopefully as Apple continues to work on the Mail app, they will integrate this ability into iOS.